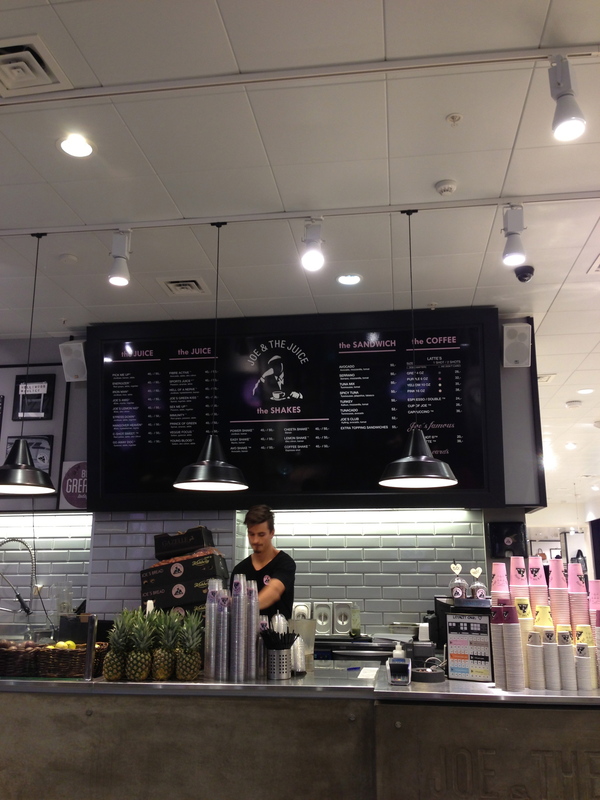 As we were walking around Aarhus and eventually around the country of Denmark, we notice the large pink round signs with a distinct image of a man and resting on his elbow in front of a cup of joe. 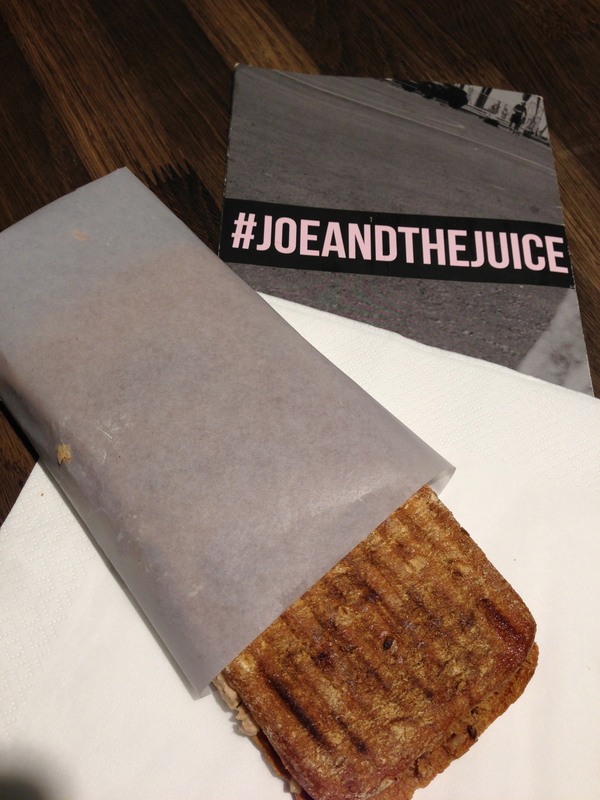 Joe & The Juice offers a very healthy menu of fresh juices, sandwiches and a very simple coffee menu in a pretty stylish and relaxed setting, we had to try it out. As soon as you get to the counter I noticed the piles of fruit sitting in baskets waiting to be used so you get the sense that everything here is made right in front of you. 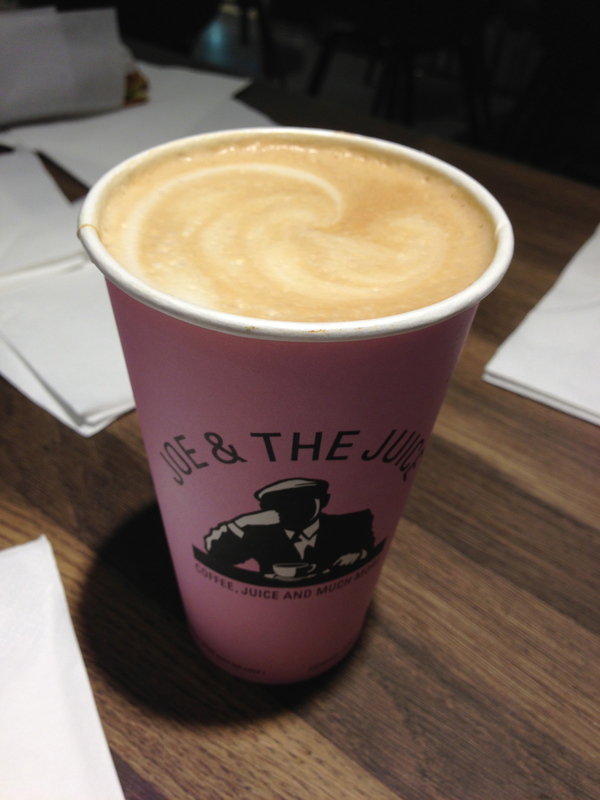 I ordered the spicy tuna sandwich and of course, the Joe’s famous “ginger latte” that caught my eye. The sandwich was really tasty and satisfying made with chunks of jalapeno and served on the very “Danish” grainy flatbread. 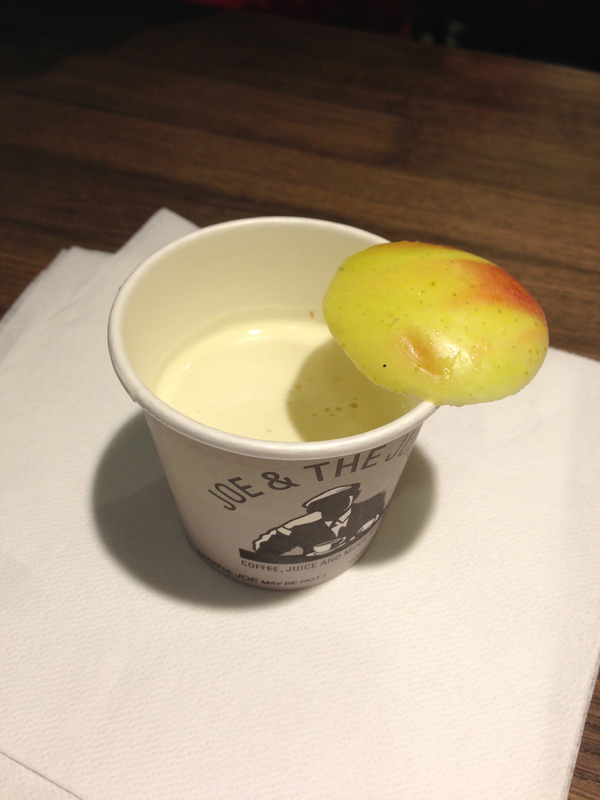 However, the ginger latte, to use Guy Fieri’s famous words, was the kicker. Made without any espresso, it was lots of minced ginger topped with steamed milk – really unique and definitely wakes up your taste buds! The counter at Joe & The Juice. 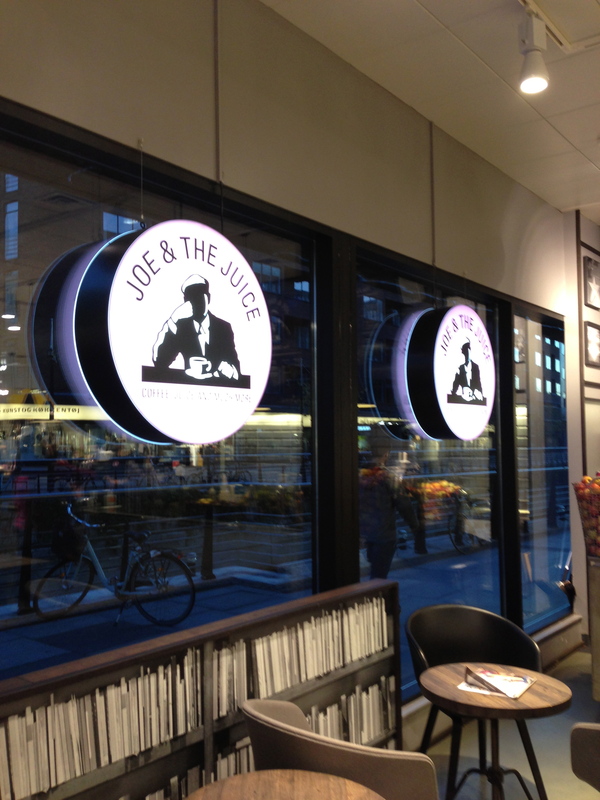 Inside Joe & The Juice. 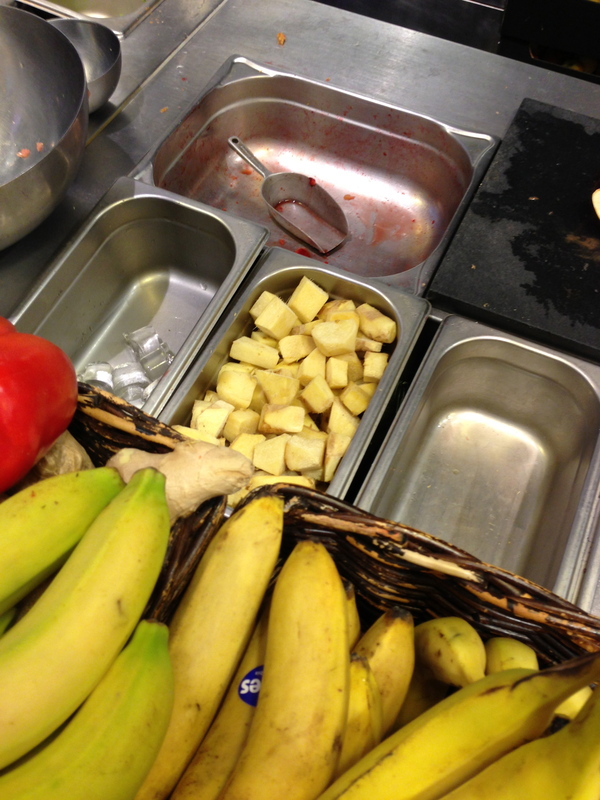 Evidence of fresh ingredients being used. Definitely a lot of ginger. 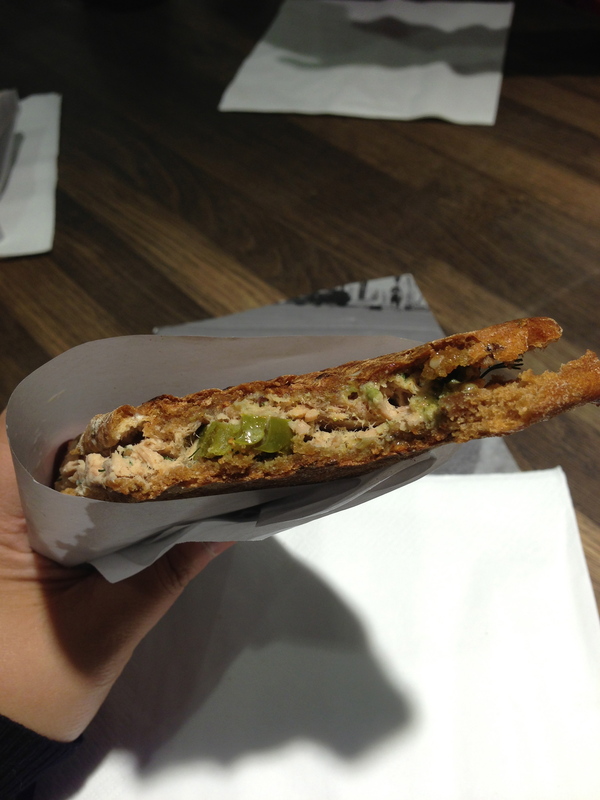 My dinner – spicy tuna sandwich. 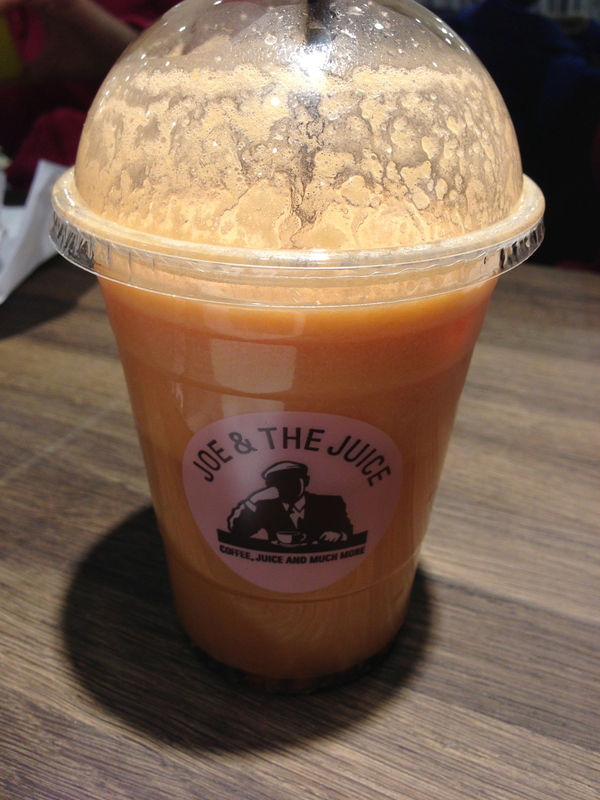 “Go Away Doc” juice – carrot, apple and ginger. Spicy tuna sandwich with jalapeno and splashes of tabasco. 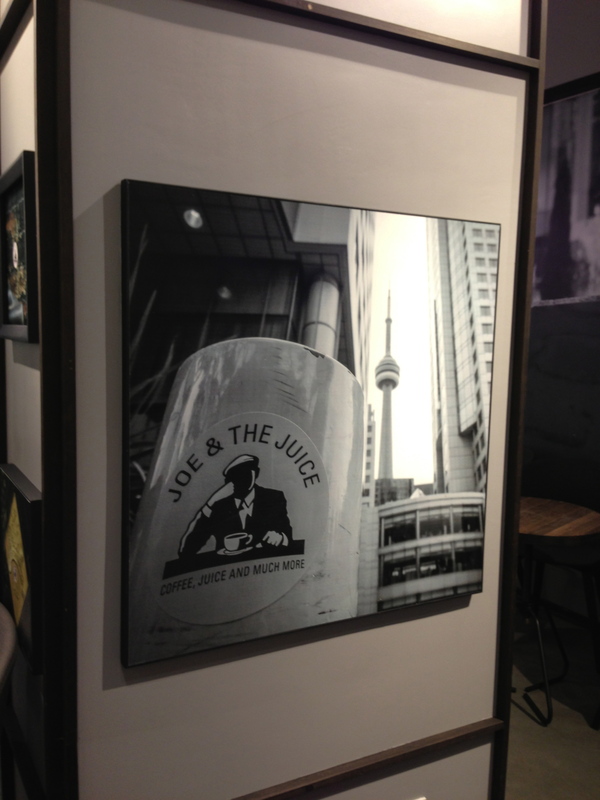 Look what we saw hanging on the wall!